Monday 8:00 A.M. 6:00 P.M.
Wednesday 8:00 A.M. 7:00 P.M.
Saturday 8:00 A.M 3:00 P.M.
Clear more pavement than ever before with the new WESTERN® WIDE-OUT™ and WIDE-OUT™ XL adjustable wing snow plows. 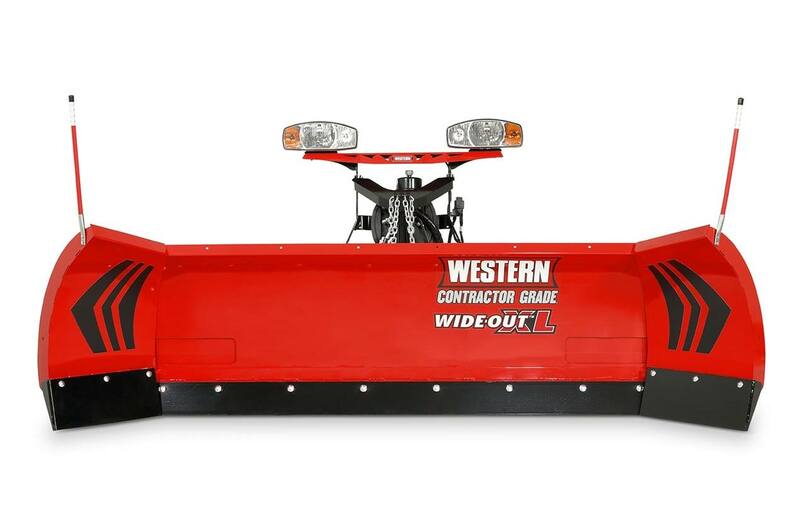 Offered in two blade sizes, the WIDE-OUT XL model extends from 8'6" to 11' in straight blade mode, making it the widest WESTERN plow for truck applications. The plows are our tallest winged plows at 31", and feature flared wings allowing operators to be more efficient on their jobs by carrying even more snow with every pass. Prepare yourself to take on more snow—even in the depths of winter. 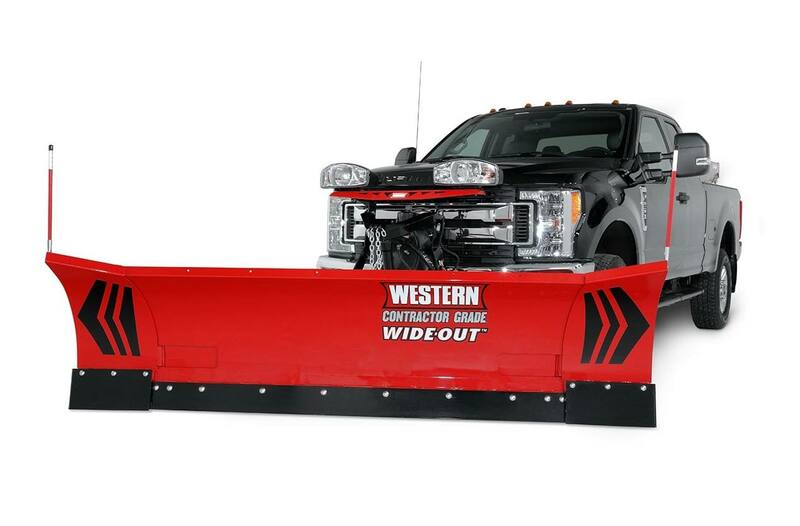 Plow Blade Construction: A 31" tall, 14-gauge steel moldboard comes standard with a 1/2" high-carbon steel cutting edge on the moldboard and the wings, ensuring a clean scrape on every pass while reducing wear and extending the life of the blade. 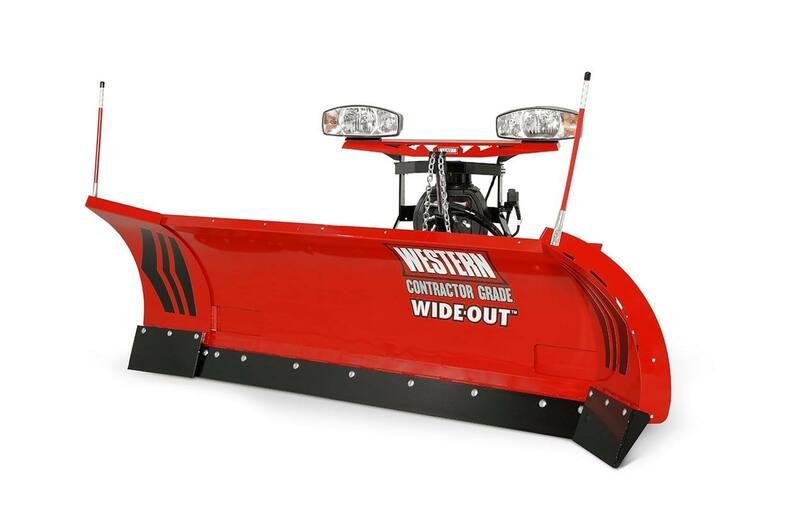 Expandable to 11': Available in two sizes, the WIDE-OUT blade expands from 8' wide to 10' wide and the WIDE-OUT XL plow extends from 8'6" to a full 11', to move more snow in fewer passes. Structural Reinforcement: Six vertical ribs—eight on the WIDE-OUT XL model—a heavy-duty quadrant, and a dual WESTERN® POWER BAR provide exceptional torsional strength and rigidity across the entire back of the plow blade to eliminate blade twisting. A high-strength steel base channel provides extra support along the bottom of the plow blade. Heavy-Duty Slide Box: The structurally-reinforced slide box is constructed with 3/16" heavy-grade steel, ensuring your plows are up to the task, no matter how large. 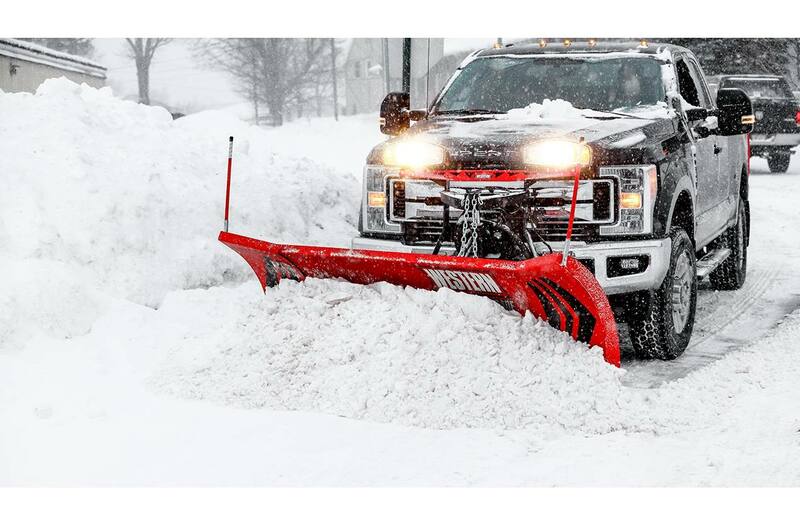 Trip Protection: Four heavy-duty coil springs protect your plow and truck by allowing the whole blade to trip when striking obstacles. Like the moldboard, the WIDE-OUT™ plow's wings will trip in any position—including scoop—letting you easily pass over obstacles to get the job done. Reliable Hydraulics: We manufacture our own hydraulic components to ensure the highest standards of quality and reliability, so that you get a hydraulics system that's not only fast and responsive, but that's built to last season after season. Fully enclosed components are protected from the elements. Isolation Module: This advanced snow plow light and electrical system features improved electrical pins in the harness for trouble-free connections. An underhood module improves system life and complies with OEM requirements. No toggle switch needed to change from vehicle to plow lights. BACK DRAG EDGE: Ensure a clean scrape, every time, when you back drag. Angled to maximize back dragging, the WESTERN® is constructed to be as rugged and durable as every other component of your plow. 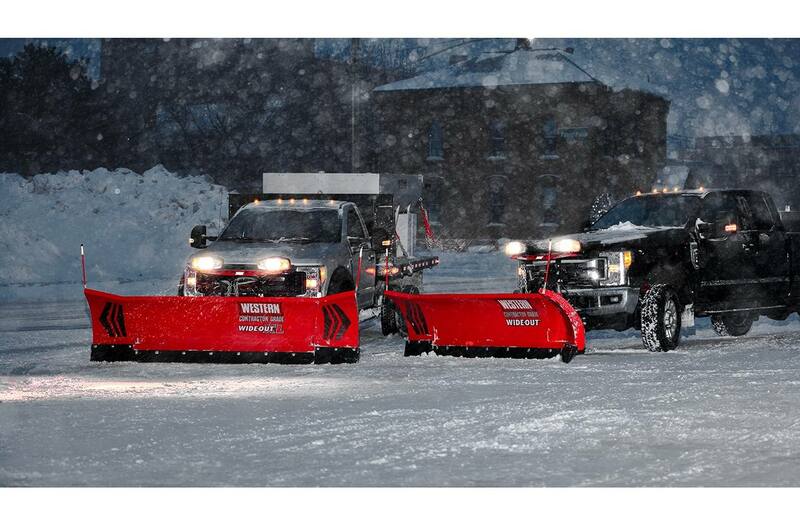 Easy to install and easy to use, a is a key tool in any snowfighter's kit. RUBBER SNOW DEFLECTOR: Control the snow and always see where you're going with optional deflectors. Our 10", 2-ply s include bolt-on steel plates to ensure proper positioning of the deflectors to keep your view clear and clean. SHOE KIT: Protect your plow and the road. Ride above the uneven surfaces of gravel and dirt with plow shoes. 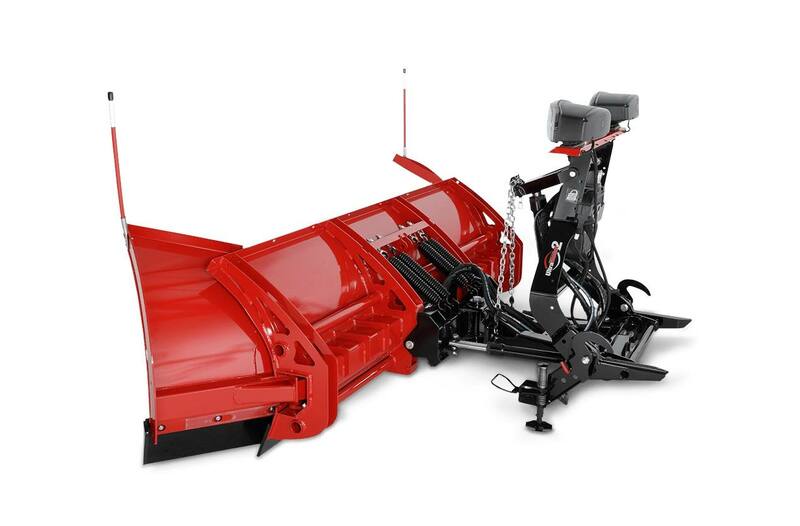 The cast iron construction and shape ensures that your plow glides over gravel and dirt at the perfect height. Bolt-on extends cutting edge and base angle life when plowing rocky or abrasive surfaces.